This brief essay will help you find your next job, chart a career you can enjoy, and plan for a second act, either in retirement or just as a fulfilling volunteer pursuit. 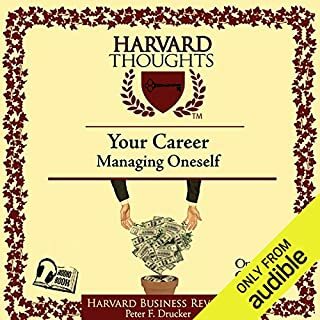 It also gives great tips for anyone who is struggling with a difficult boss or co-worker. From London’s glittering West End to Broadway’s bright lights, from her Academy Award-winning role as Elizabeth I in Shakespeare in Love to “M” in the James Bond films, Judi Dench has treated audiences to some of the greatest performances of our time. 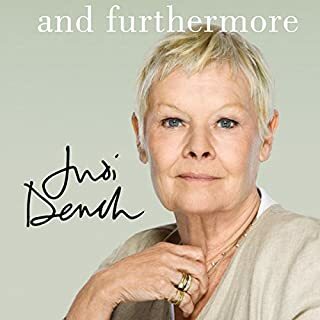 This is a memoir mostly of Judi Dench's career, with a reasonable bit of family background and an epilogue describing her warmup ritual. It zips by, with much of the time spent listing the casts of plays she performed in. (She must have saved all the playbills.) You'll learn about her friendships with other actors and her experiences receiving awards and accolades. You can even try to read between the lines as she describes her work as M in the Bond films. There are a couple of paragraphs about her work on “As Time Goes By,” but probably not enough for fans of that series. All in all, it's light and personable and will add to your enjoyment of her work. It's not a tell-all or a master class in acting. 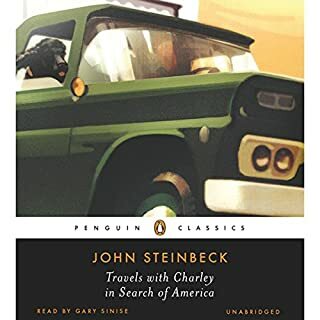 Gary Sinese brings both grit and subtlety to his reading of Steinbeck's colorful travel memoir. I listened to this as a vicarious summer getaway; it's a journey I won't soon forget. Steinbeck’s portrait of Texas and Texans remains spot-on, and the whole account is utterly believable. Mostly lyrical and personal, in its final chapters the book re-inserts the author into current events, where he becomes a deliberate witness to history. 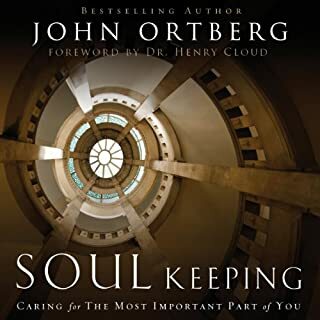 With author and narrator in perfect synch, this audio book was a thorough pleasure, inspiring me to look back on my own travels in America, and forward to the destinations still to come. Recommended for anyone with wanderlust – from adolescents to shut-ins.